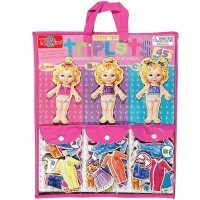 Mix and match princess and ballerina outfits, tell endless stories, and play dress up with this T.S.Shure magnetic dolls set. 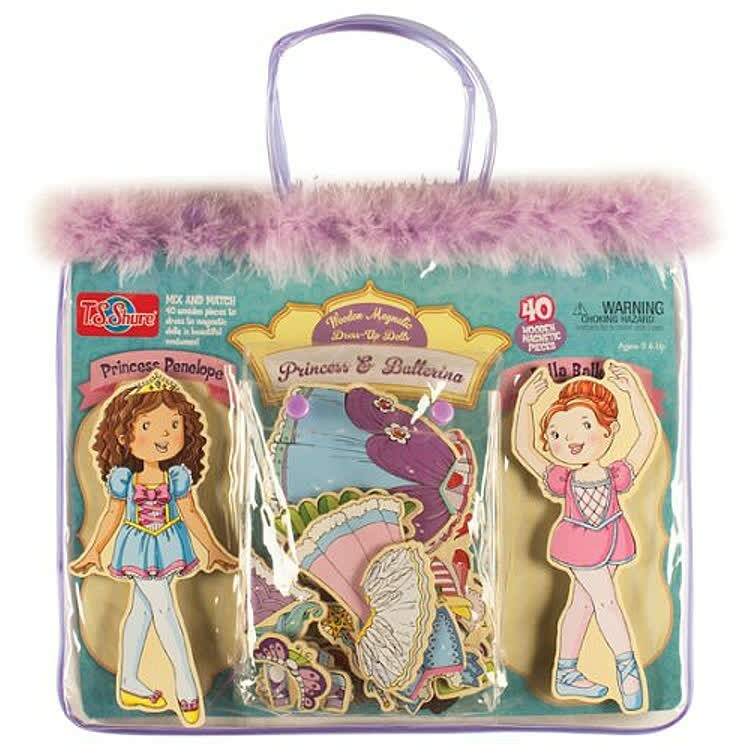 Let's dance and go to the royal ball! 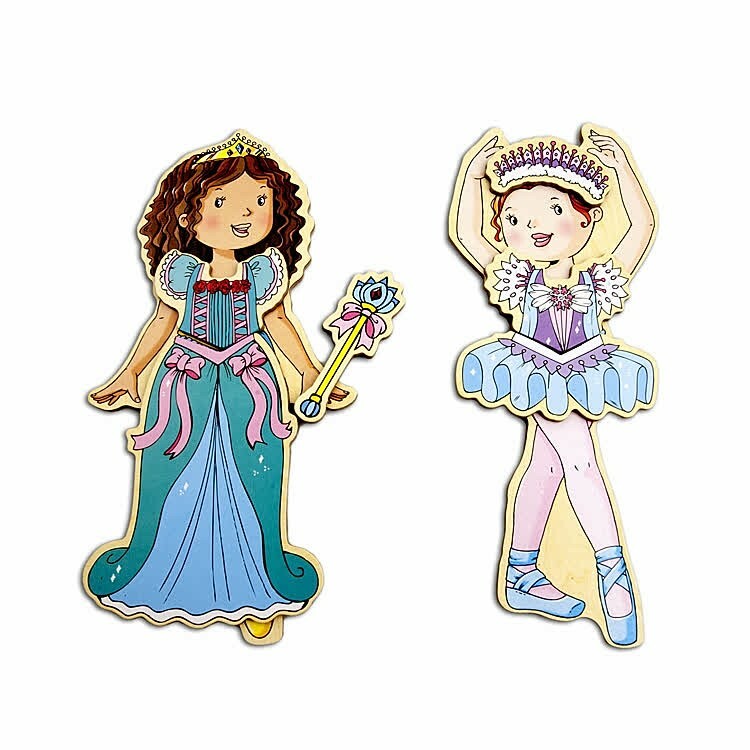 This T.S.Shure magnetic doll collection combines little girls' favorite play themes: princesses and ballet. 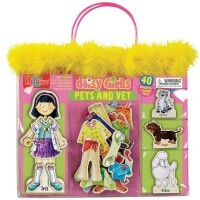 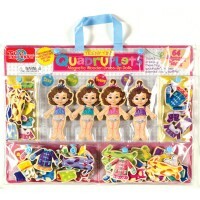 This girls dress-up magnetic set comes neatly packed in a vinyl carrying bag trimmed with fuzzy lilac feather. 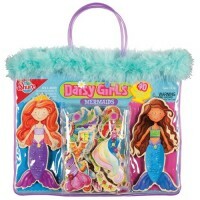 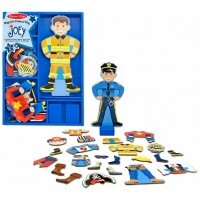 This gift bag holds 40 pieces for endless pretend dress-up fun. 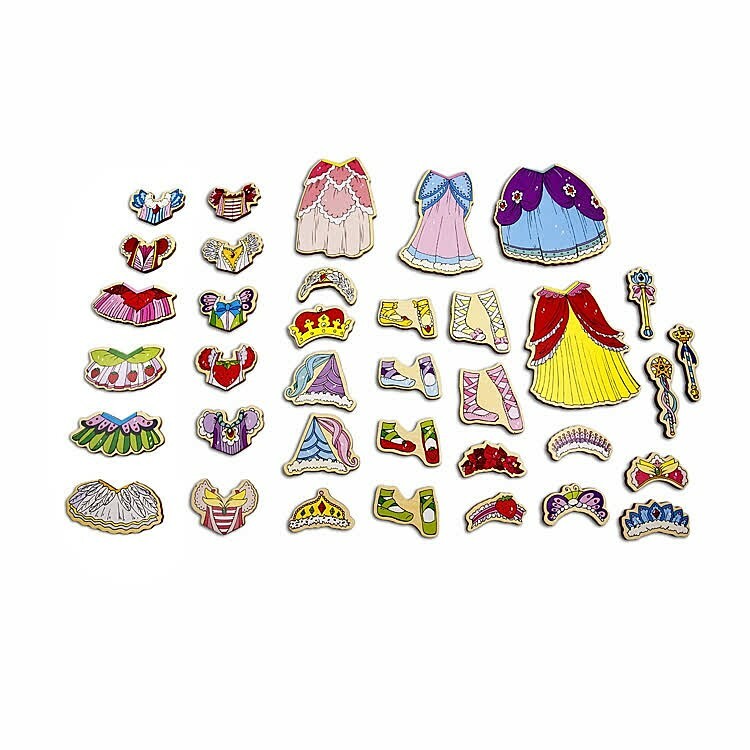 Princess & Ballerina Wooden Magnetic Dress-Up Dolls include 2 wooden girls and 38 magnetic wooden clothing pieces to mix and match colorful dance and fairy tale attire for them. 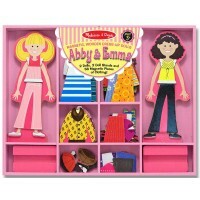 Each dress-up article of clothing or accessory features a colorful watercolor work with attractive details and decorations. 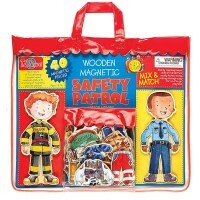 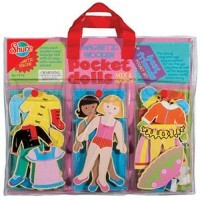 The magnetic dolls set from Educational Toys Planet is sold in a easy to carry along plastic bag with handles and snap-closing pockets. 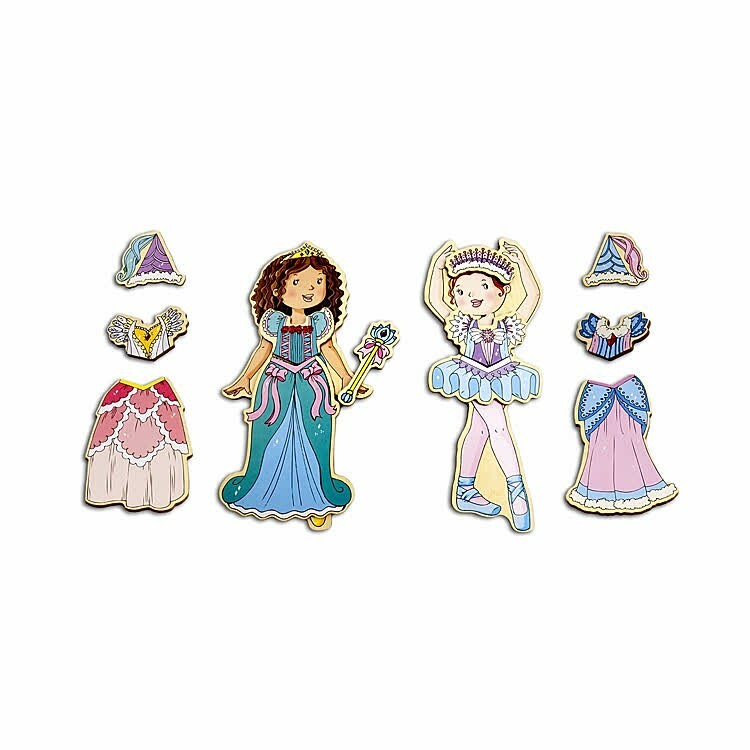 The Princess & Ballerina Wooden Magnetic Dress-Up Dolls are a great travel companion for any young girl who likes fairy tales, princess characters, dances, ballet and imaginative fun! 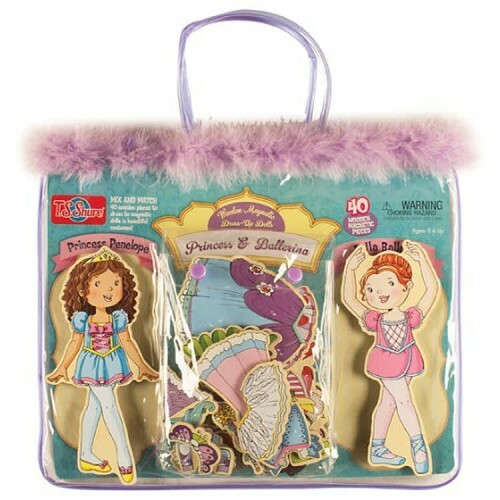 Dimensions of package 2" x 14" x 12"
Write your own review of Princess & Ballerina Wooden Magnetic Dress-Up Dolls.